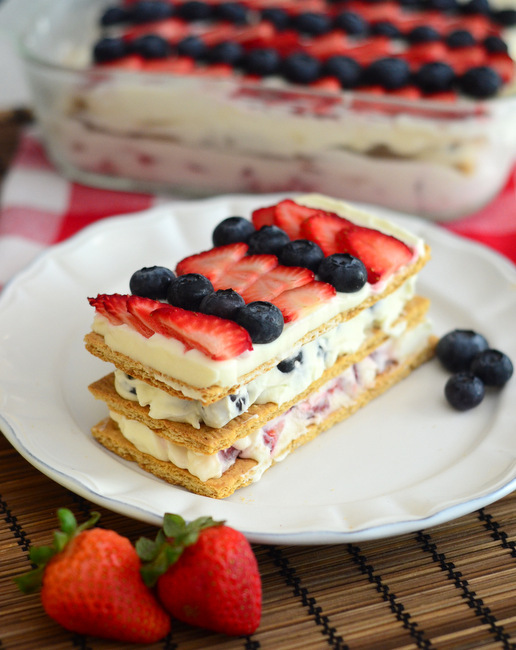 This Red, White & Blue Berry Icebox Cake has summer written all over it. The cake starts with a cream cheese whipped cream base, which has a hint of cheesecake flavor and a mouse-like consistency, and it is layered together with plain graham crackers. Finely chopped strawberries are added to one portion of the whipped cream to make the “red” layer of the dessert, while whole blueberries are added to another portion. The remaining whipped cream is used to finish off the top of the cake. Be sure to use fresh, ripe berries when you make your cake. Frozen berries don’t have the right texture to yield good results in a cake like this. You’ll also need extra to decorate the top of the cake before serving. The cake is reminiscent of strawberry shortcake, but with a slight tanginess from the cream cheese and a hint of honey from the graham crackers. It takes about 10 minutes to assemble, once your cream cheese has softened, and needs at least 3-4 hours to set up in the refrigerator. 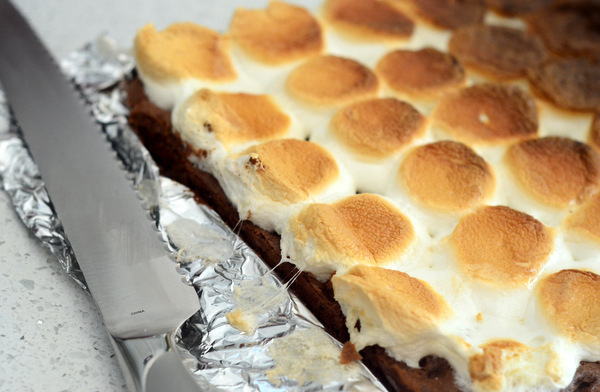 The cake is most easily assembled in a 9×9-inch baking pan, but you can also set it up on a large cake plate so that the sides are exposed and you can see the layers before slicing. As is the case with many cakes, the first slice may not be the prettiest. Cut one small “sacrifice” shot before serving the rest. In a large bowl, beat cream cheese until softened. Blend in confectioners’ sugar, vanilla extract and salt. Add in heavy cream and beat at high speed until mixture is thick, smooth and fluffy, about 2 minutes. Divide cream into three bowls. Add strawberries to one bowl, blueberries to a second bowl and leave the third bowl plain. 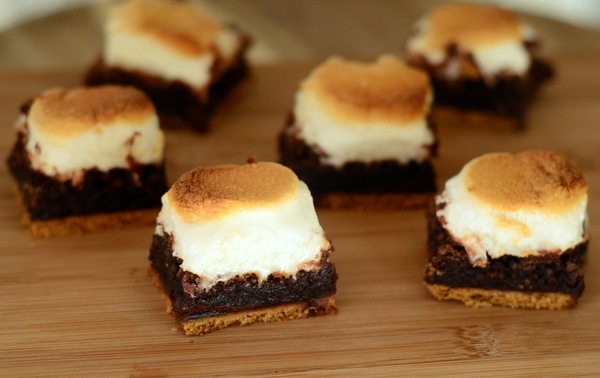 Arrange a layer of graham crackers (about 4 1/2) in the bottom of an 8×8 or 9×9-inch square baking dish. Add the strawberry cream and spread it into an even layer on top of the graham crackers. Add a second layer of graham crackers on top of the strawberry cream, then add the blueberry cream and spread it into an even layer. Add final layer of graham crackers, followed by final layer of cream. Top the cake with whole blueberries and sliced strawberries. Refrigerate for at least 3-4 hours, or overnight, until completely set.